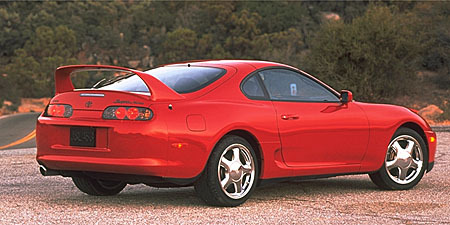 The Toyota Supra line of cars has had a long legacy of great cars. 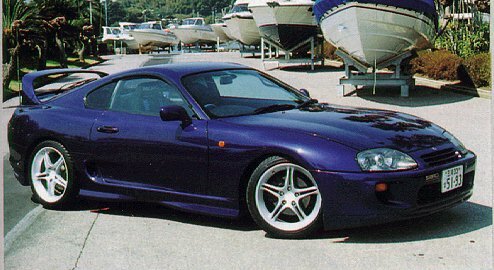 The Supra Make IV was introduced in 1992 and has been turning heads ever since. Though the car isn't still in production, it's still a great car. It looks very cool, and has lots of unique features. It's also pretty powerful, and is powered by a twin-turbocharged 320 horsepower inline-6 that pushes the car from 0-60 miles per hour in just 5 seconds! The engine also allows the Supra to reach speeds as high as 155 miles per hour. That's not bad for a car that only costs $38,000. Dont forget this car's great looks and its ability to be easily modified.